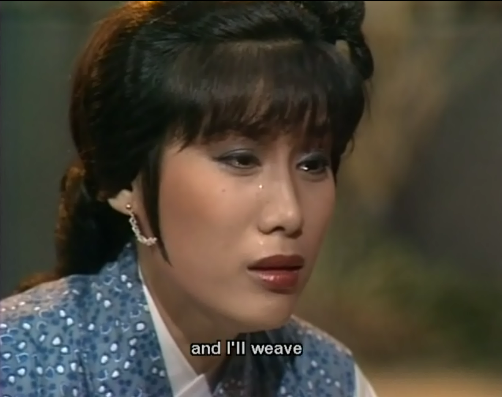 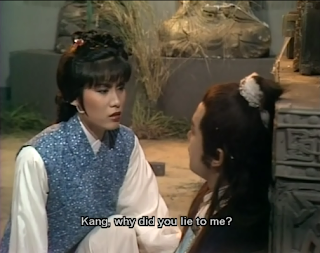 Below are the screen caps of the final scene of Yang Kang where he finally accepted his demise. 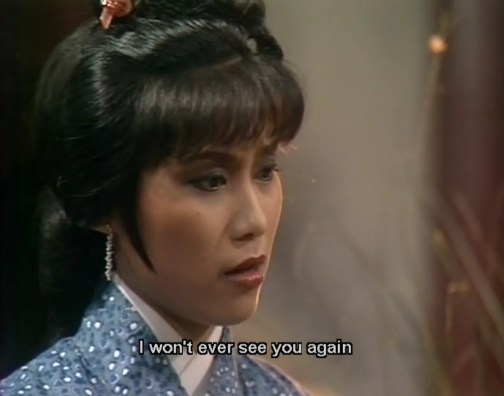 It's a total tearjerker for me that I delayed it for two weeks since I saw this ep 52, but I feel like I owe myself and MB/LOCH fans the screen caps. 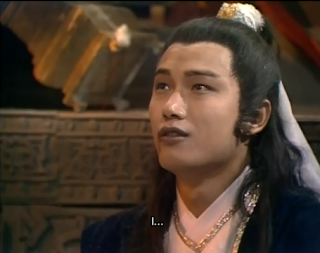 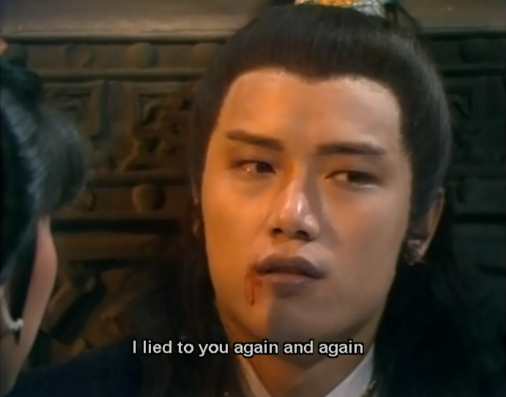 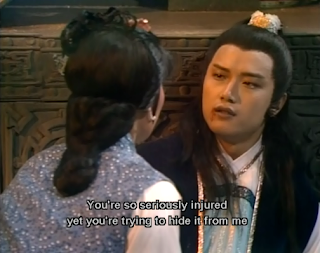 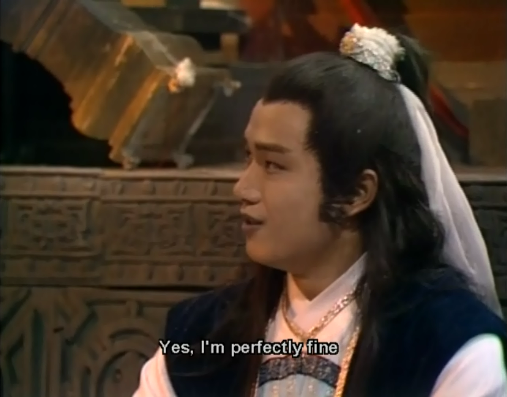 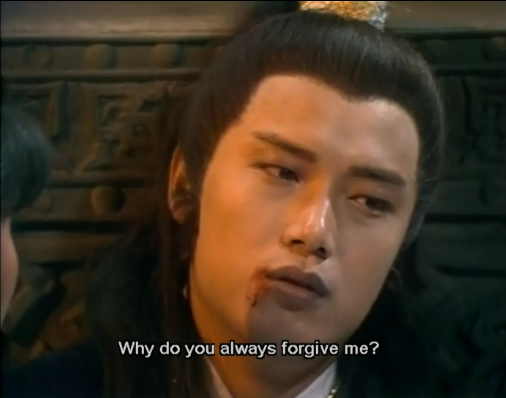 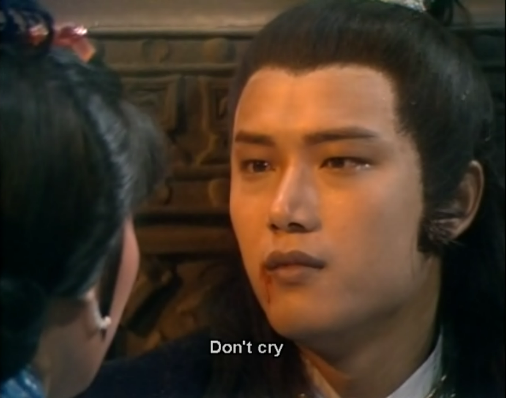 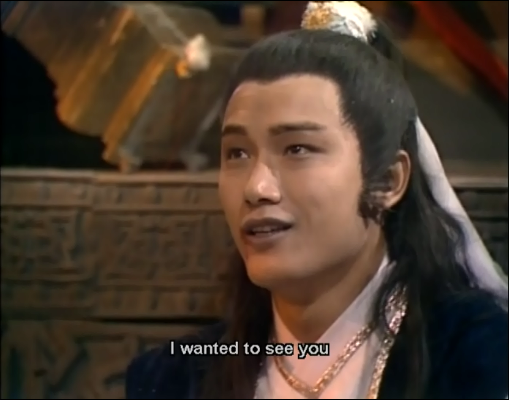 The screen caps started from the moment Guo Jing found the poisoned Yang Kang inside the Iron Spear Temple. 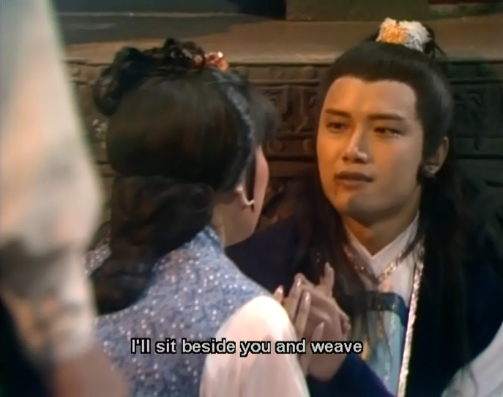 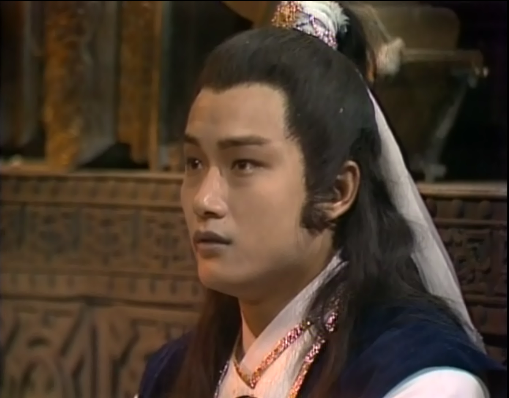 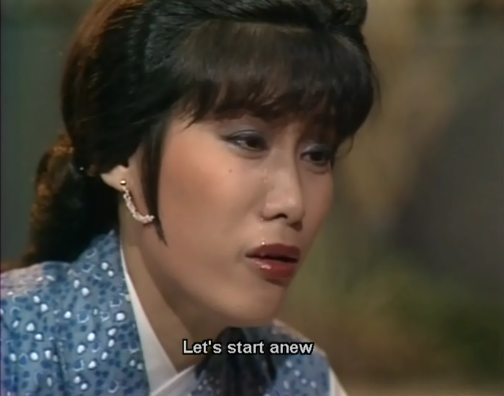 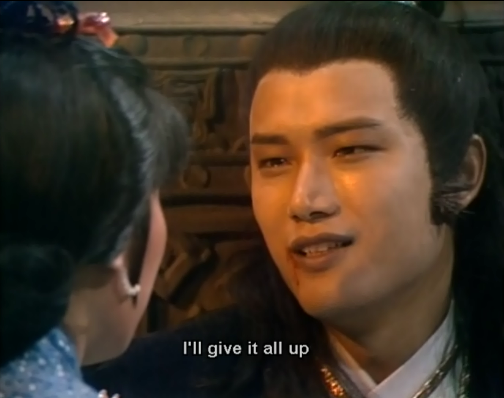 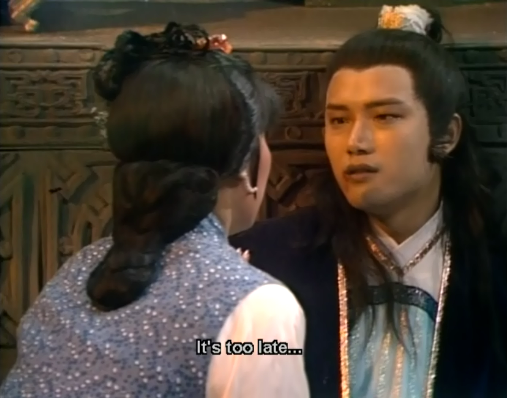 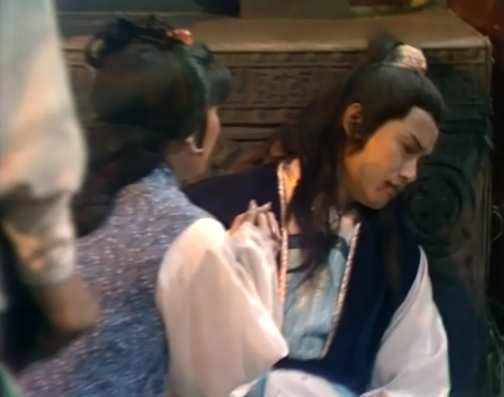 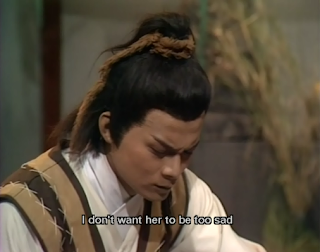 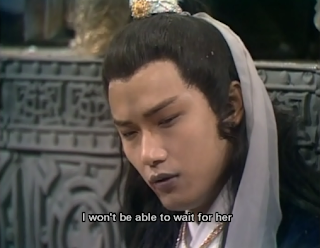 Then the kind Guo Jing dashed to the Heart Break Valley to find Mu Nianci, while Yang Kang trying not to fall asleep (lest it would definitely be the end before he could meet Nianci). 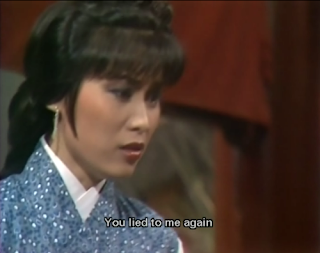 Yet Nianci saw through her husband's final lie. She returned to the temple and saw how seriously injured he was. 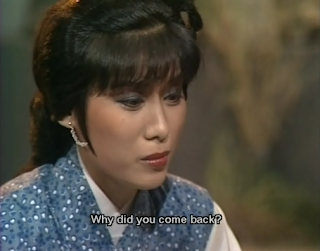 YK to MNC: "Why did you come back?" MNC: "You're not going to die. We're going to spend a lot of time together." YK: "After I die, there will be one less evil person in the world. You should be happy about it." MNC: "No, Kang. 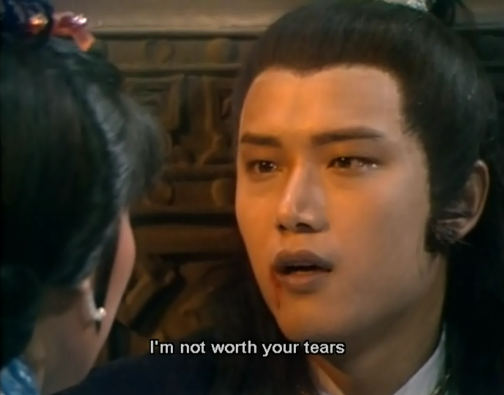 I don't care how you treat others. 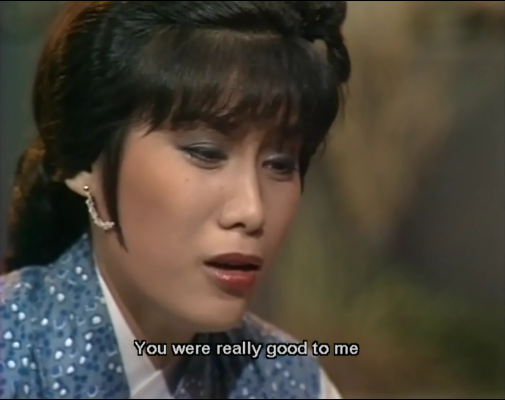 You were really good to me." 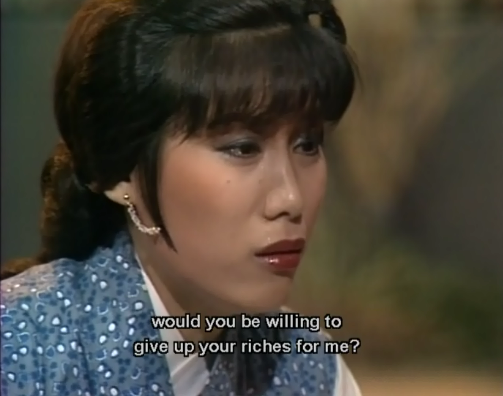 YK: "Nianci, I've let you down..."
MNC: "If it wasn't too late, would you give up your riches or me?" 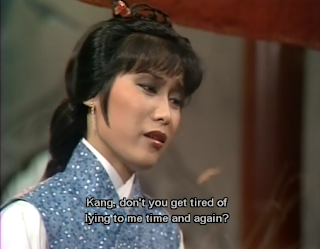 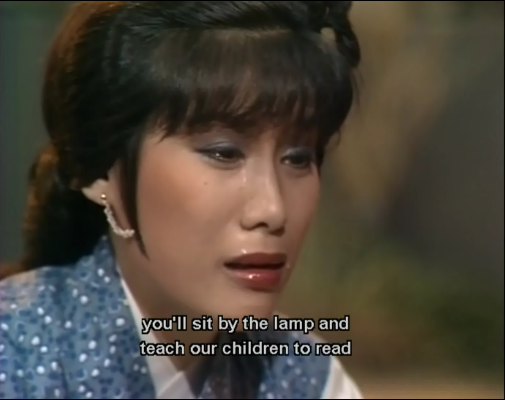 YK: "I will teach our children properly..."
MNC: "We'll be very happy together"
MNC: "He's very tired. 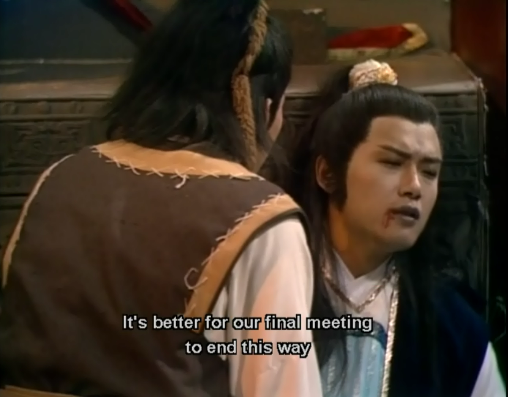 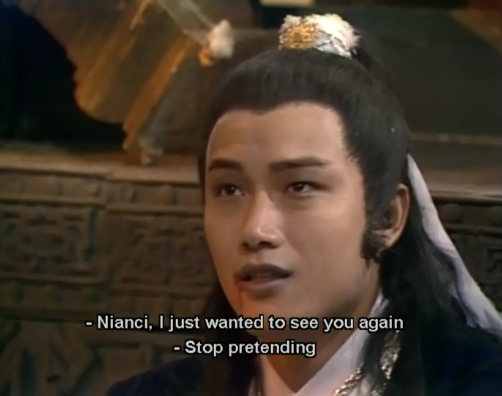 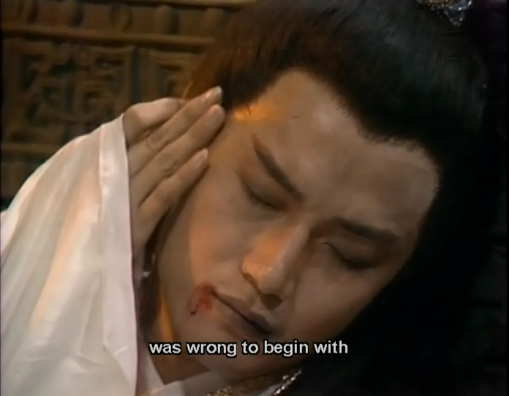 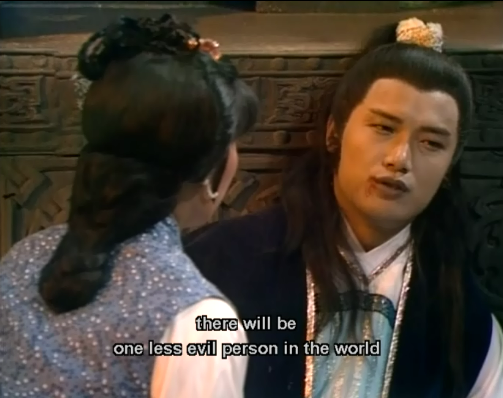 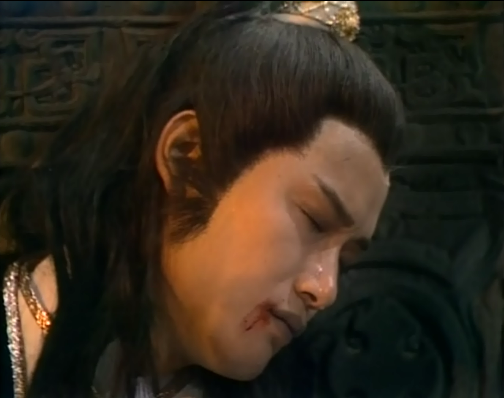 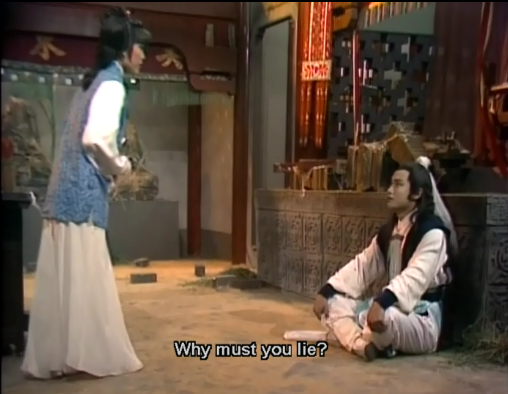 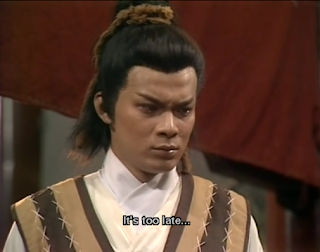 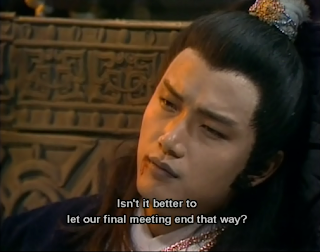 Let's not wake him up..."
Then the tearful Guo Jing informed Nianci that he had finished digging up the grave. 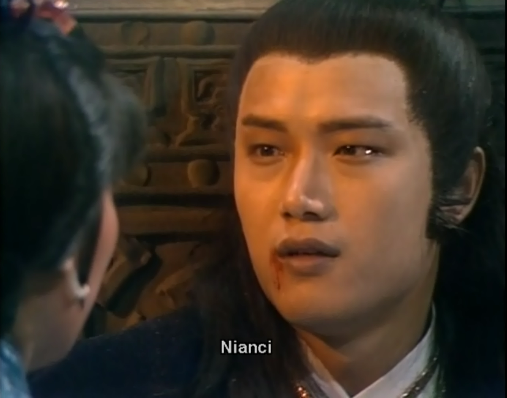 Nianci nodded then said that she wanted to clean Yang Kang's face first, for "He wouldn't want to be so dirty..."
MNC: "Let me clean his face. 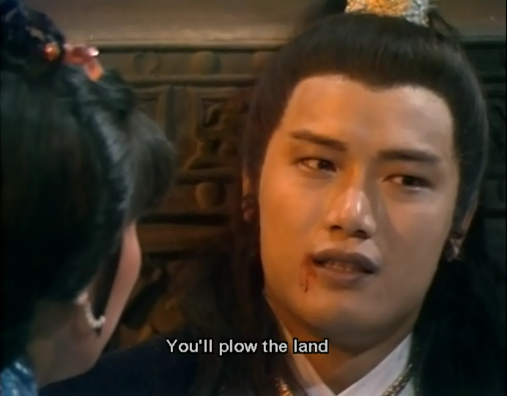 He wouldn't want to be so dirty..."
Before they closed the grave, Nianci covered Yang Kang with a mat. She said, "When you were alive, you’d do anything to try and retain your wealth. 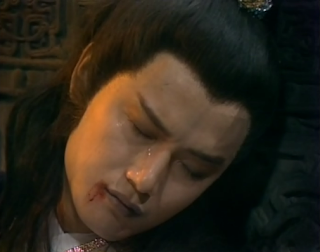 But you would never have dreamt that you won’t even have a coffin to lie in upon your death...Or that you’d be buried in such a desolate and remote area..."